Dietary analyses of tropical herbivorous fishes feeding in temperate waters along the Western Australian coast using visual inspection and DNA barcoding techniques (Honours 2016). 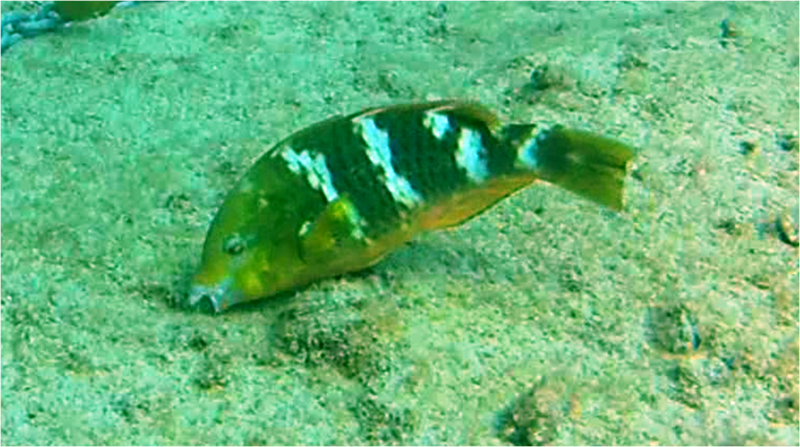 Tropical herbivorous fishes such as Scaridae (parrotfish) and Siganidae (rabbitfish) have been observed migrating southwards along the Western Australian coast. There is currently a lack of knowledge on their diets as these tropical species move into temperate waters. It is hypothesized that there is a change in diet due to different habitats, seaweed species, predators and competition at different latitudes. Dietary analyses would provide insights into the fishes’ feeding pattern and behavior as well as their ability to adapt. Herbivory activity has the most impact on the seaweed community growing in the area. As new herbivores are introduced into the habitat, existing food web dynamics would be affected, leading to a new ‘balanced’ ecosystem. Hence, this study would not only investigate the seaweed species these tropical herbivores are feeding on, it would also increase our understanding of the ecological interactions and significances these fishes bring into their habitats.